Vaughn, Peggy Isabelle, 54, of Dartmouth, passed away on Tuesday, June 5th, 2012, in the Dartmouth General Hospital, after a lengthy battle with cancer. Born in Liverpool, she was a daughter of the late Frank and Martha (Croft) Vaughn. Peggy enjoyed spending time with her friends, fishing with Walter, always hoping to catch the big one, cooking, watching TV and movies. She had a special place in her heart for her cat Keke and all of her pet fish. 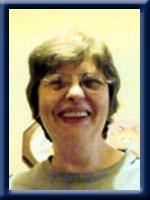 Peggy was a very kind person with a good sense of humor, a good heart and she will be sadly missed by all who knew her. She is survived by her companion Walter Gray; daughter Catherine Elizabeth; sisters Dorothy (Frank) Nowe, of Bridgewater, Shirley Vaughan (Fred Knickle), of Lunenburg, Donna (Carmen) Moreau, of Charleston; brothers William (Elizabeth), of Milton, Jordan (Anna-Stell), of Charleston, Frank Jr. (Darlene), of Riverdale; and good friend Brian Woodill. Jordan, Annastelle and all members of the family; Sad to see of the death of your sister, especially at that age. I remember Peggy as, I think, being the youngest member of the Vaughn family when we grew up and went to school in West Berlin. You are in my thoughts at this difficult time. Sincerely, Doris. Our sincere condolences to all the Vaughn family.We may have lost touch over the years but we always remember you all.Bless you at this hard time. To all of Peggy’s Family: Our sincere sympathy on the passing of your sister. May all your memories help you through this sad time. I didn’t know Peggy really well growing up, just knew that she was “back the lane” – however, my condolences to all of you at this time. Remember all the good in her, that will help you to get through a very difficult time. So sorry to hear about Peggy my thoughts and prayers are with you at this sad time. Peggy and I were good friends when going to school together. Lost touch after that, but have some memories of her. God Bless. Im so sorry to hear of peggys passing . May God be with you all at this sad time . My sincere condolences to all the Vaughn family from a friend and a previous neighbour. Peggy will be missed by me. Sorry to hear about my Aunt Peggy and all my thoughts go out to my dad and the rest of the Vaughn family. I wish i could of got to know her. I was so sorry to hear of Peggy’s passing my prayers and love to the family that mourns her loss…Lynda. So sorry to hear of Peggy`s passing.My thoughts and prayer`s to all the family. Sylvia. So sorry to hear of Peggy’s passing, especially at such a young age. May your fond memories help you get through this difficult time. my thoughts & prayers to the vaughan family Peggy was a wonderful person & thanks to God.. she is no longer suffering with pain may she now rest in peace. Our condolences to all the Vaughn family. I hope you are able to find comfort in all the love that is felt for you and Peggy.